M’s Tires has exported used tires and aluminum wheels for over 20 years to clients in New Zealand and other countries worldwide. 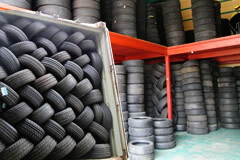 Also we run two tire stores that purchase and sell to retail customers. 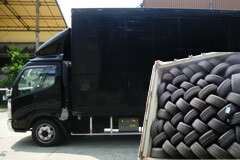 We supply used tires from the Japanese market to dealers around the world via container ships. Please feel free to contact us if you are considering export. We will pick up your used tires and wheels. Please contact us if you have tires to scrap. Favorable terms guaranteed. For both corporate and retail customers!